Price is obviously crucial at QSRs, but there are actually some things that can be even more influential to customers than the price tag on menu items. Food quality. An innovative menu. Restaurant atmosphere. Customer service. Order accuracy. Nail those areas at your QSRs and customers will keep coming back for more. 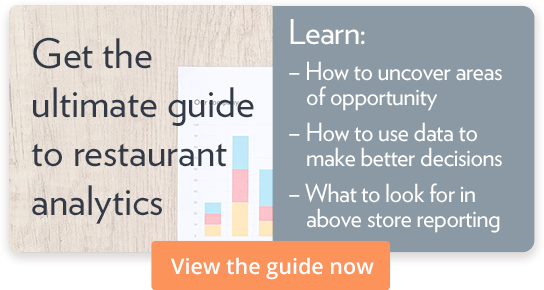 So, let’s dive into those restaurant qualities that can be even more effective in attracting customers than low prices. Menu innovation can have a much greater impact than menu variety. Chipotle, for example, has a famously limited menu, especially when compared to rival restaurants Taco Bell and Qdoba. Chipotle’s limited menu probably drew skepticism early on — but by focusing on the quality of every individual ingredient, instead of a larger range of options, Chipotle developed a very dedicated customer base. Introducing innovative menu items can be risky. You probably won’t see KFC introduce a sushi menu anytime soon, for example. Remember your customer base, and think about what they might want that you aren’t currently offering. Value menus have been around for a long time, and for good reason — they conveniently highlight customer favorites at low prices. Aside from the price, customers like value menus because they are convenient. The McDonald’s dollar menu was a smash hit when it was first introduced, due in no small part to the convenience of easily mixing and matching favorite items. When the dollar price point was no longer sustainable, McDonald’s changed it to the $1/$2/$3 menu — keeping the core concept of the menu that their customers loved. Taco Bell has their own $1 “cravings” menu, and Wendy’s has a menu of $4 combos. Highlighting customers’ favorite items in a value menu is a practice that has stood the test of time. Sometimes it pays to expand your menu in completely unexpected ways. Dairy Queen had been known since the 1940s for its soft-serve options, but it wasn’t until much later that they introduced hot food like hamburgers and hot dogs. It was a risky move for a restaurant that was famous for desserts, but the gambit paid off. DQ continues to experiment with new food options, with some stores selling items like cheese curds and soft pretzel sticks. Restaurants have historically struggled to expand outside of their established mealtimes (McDonald’s breakfast being the noteworthy exception, having great success during both breakfast and non-breakfast hours). However, Taco Bell succeeded in breaking into the breakfast space in 2014. Taco Bell was already known for being open later than most QSRs, and the addition of a breakfast menu means there are only a few short hours each day when you can’t make a Taco Bell run. We’ve talked about ways to keep your menu fresh and exciting, but one of the most important elements of the QSR experience can affect your customers before they even see a menu. Restaurant atmosphere can make an ordinary restaurant experience into an extraordinary one. Potbelly Sandwich Shop began as a side-operation in a Chicago antique store, and to this day their locations across the country make sure to incorporate some local flair from wherever they are. The decorations on the walls and live music are all kept as local as possible to create a custom experience for their customers. It’s easy to dismiss drive-ins as a relic of the past, but restaurants like Sonic and A&W have built their own bases of customers who are passionate about the model. Combining the convenience of a drive-thru with the service of a sit-down restaurant, drive-ins offer customers a unique experience that can be much more memorable than a traditional restaurant. Price will always be important, but customers are interested in restaurants that offer a unique experience. Don’t be afraid to experiment in order to find your niche.